Keep your casual look simple yet stylish as you wear this pair of capris from Devis. 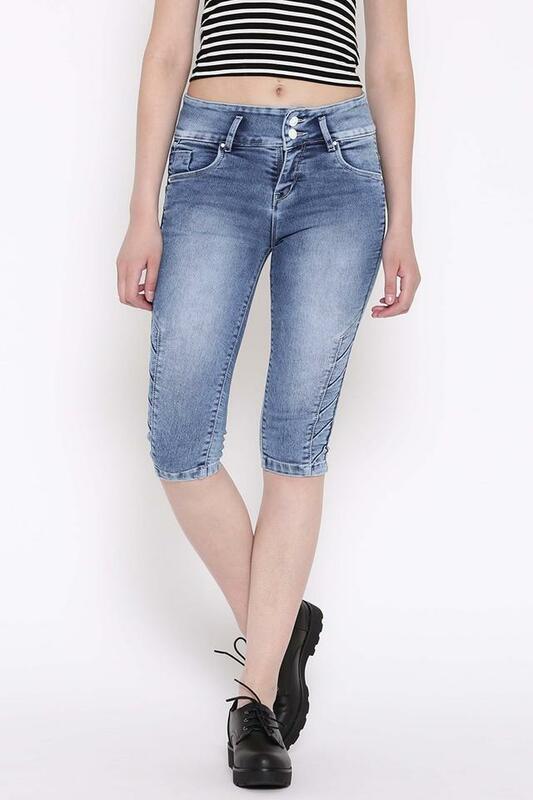 This modish capris features a perfect look with mild wash pattern and a flawless perfect fit. Made from good quality fabric, it will become one of your favourites this season. Elevate your stylish collection with this pair of capris. 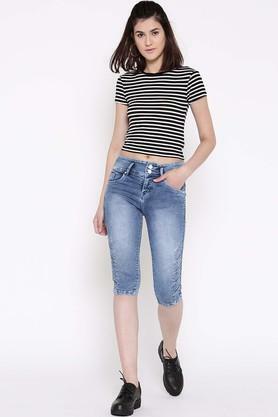 Pair it with casual top and look more stylish.